Post Graduate training is essential for massage therapists to maintain skill levels and keep abreast of changes within the industry. Going beyond basic training is vital for therapists to expand their knowledge and increase their skill set. 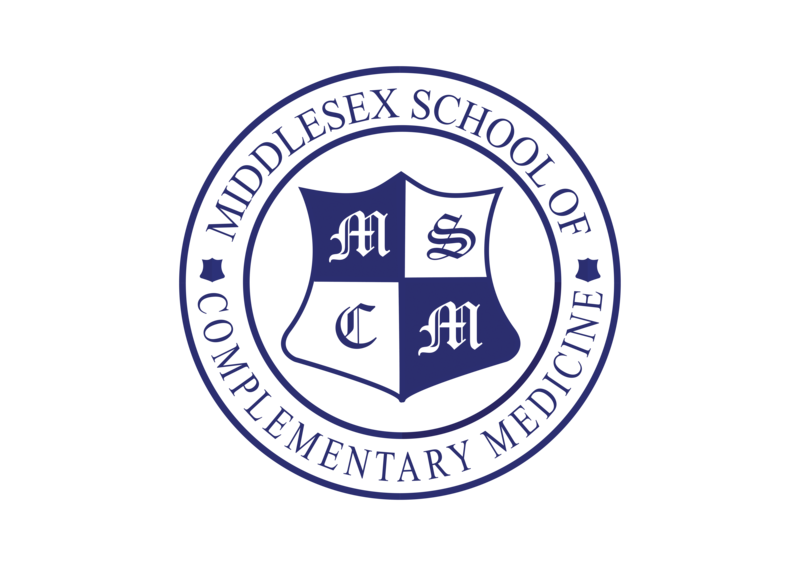 MSCM offers an extensive range of courses for qualified massage therapists ranging from half day and one day workshops to in-depth comprehensive diploma training at an advanced level. This is a new award from MSCM which is designed to reflect your dedication to your training and skill development. Many of you continue with your massage education by attending CPD massage workshops and by doing so you will have become skilled therapists with a greater depth of knowledge and application. Specific skills can make your work more exciting and more beneficial to your clients. This encourages clients to stay with you as you tailor each treatment to them and their needs. There is no additional fee for the MSCM Therapeutic Massage Diploma. It will be awarded to those who have attained sufficient knowledge in key areas and is our way of acknowledging and recognising your commitment to your continued education. Many of you may have completed a number of the required modules in the past and you will not be required to repeat them. The joy of this diploma is the flexibility – you choose which topics you wish to undertake and the order that you take them. There is only one category that is compulsory comprising of two foundation workshops. These are essential for you to have a comprehensive working knowledge of the fundamentals. To complete the requirements, you can make the choice of the techniques and deep tissue workshops that you are most interested in. You will not be required to do any exams or case studies allowing you to use your new skills immediately after the courses. Once you have completed the required 6 modules you will be awarded the MSCM Therapeutic Massage Diploma which you can display in your clinic or treatment room for clients to see. We believe that those who have developed their skills to the next level should have something to show for it. This diploma is designed for practitioners, qualified in any form of Body Massage Therapy, who have taken their massage to a higher level. Fascia, the soft tissue surrounding muscles, bones, and organs, plays a crucial role in supporting the body. By learning to intelligently manipulate it, a bodyworker or therapist can help clients with many chronic conditions, providing immediate pain relief as well as reducing ongoing aches and pains. 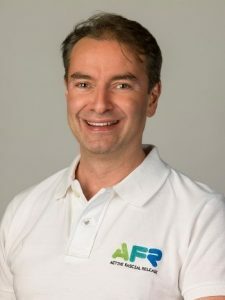 ‘Active Fascial Release’ has been developed and pioneered by James Earls, a specialist structural integration practitioner and Anatomy Trains teacher. It blends his in-depth understanding of myofascial continuities and functional movement principles with hands-on manipulation of the soft tissue to create a variety of therapeutic effects. What makes ‘Active Fascial Release’ (AFR) special? AFR techniques are versatile and effective and based on a blended understanding of functional and myofascial anatomy. Active Fascial Release offers a functional and four-dimensional understanding of the body – an essential aspect of modern manual therapy. AFR breaks the ties to and removes the limitations of the treatment table, by bringing the client upright in gravity and into movement. This exclusive course is designed for any qualified, motivated and dedicated therapist who really wants to expand their understanding of the human body and the applications of manual therapy. Integrating 26 years of bodywork experience, working with many industry leaders, James Earls will take you step-by-step through a process that accelerates your ability to see form and function in your clients. It will change the way you see and understand the body and will completely transform the way you work as a massage therapist- with more ease, greater accuracy and improved results. Blending a range of touch and assessment techniques you will journey through the body over a period of 10 months and attain a comprehensive grasp of anatomy, tissue types and how to treat structural and functional deficits in your clients. What makes this course so special? First and fore-most it is unique. There is nothing else like it available in the UK and it will be offered exclusively at MSCM in 2019. James usually works with very large groups. However, we are very fortunate as this course will be restricted to a maximum of 16 enabling James to work with each and every attendee. In addition to the in-class tuition each student will receive two private tutorials in person with James – either via Skype or 1-2-1 depending on your geography. This will greatly enhance the learning experience. There is no formal examination at the end of the course and therefore no extra exam fees. You will be assessed as part of a continual process. You will not be required to submit a portfolio of case studies. There will however be homework and research assignments. The training will require you to work, but it will be fun, it will be fully supported and it will be effective. This course is designed for practitioners, qualified in any form of Body Massage Therapy. This course/mentorship programme is designed for motivated, dedicated therapists who want to accelerate their career by receiving a distillation of 26 years of experience in just a few months. We are so fortunate and excited to be hosting the brilliant James Earls here at MSCM. James is an acclaimed author, lecturer and bodyworker specialising in Myofascial Release and Structural Integration. Increasing the understanding and practice of manual therapy has been a passion of James’ since he first started practicing bodywork over 20 years ago. Throughout his career James has travelled widely to learn from the best educators in his field, including Thomas Myers, developer of the Anatomy Trains concept. James and Tom founded Kinesis UK, which co-ordinates Anatomy Trains and Kinesis Myofascial Integration training throughout Europe, and together they authored ‘Fascial Release for Structural Balance,’ the definitive guide to the assessment and manipulation of fascial patterns. James teaches a range of courses across the UK and Europe as the Director of Kinesis UK. He is a regular lecturer at conferences and workshops around the world. Renowned for his relaxed and humorous style, James is a popular presenter whose subject is applicable for a wide-ranging audience that includes osteopaths, physiotherapists, massage therapists and movement therapists, and is in demand from the Sports Medicine departments of Premiership Football and Premier League Rugby teams. He is also the founder and Director of Ultimate Massage Solutions, one of the UK’s most prestigious providers of professional literature and workshops in the bodywork field. James has collaborated with some of the top researchers in bodywork and fascial theory including Art Riggs and Robert Schleip. He is currently studying for an MSc in Human Anatomy and Evolution and after three years of research, recently authored the well-received ‘Born to Walk’ book a blend of comparative and functional anatomy an introduction to the interconnected mechanics of the body for therapists who wish to understand gait more deeply. The Massage Foundation Course will teach you to apply all the basic massage techniques safely and effectively to all the main areas of the body. It is an excellent introduction to the basic concepts of massage including posture, towel management, positioning, hygiene and hand techniques. By working in pairs, giving and receiving a treatment in each session, you will learn the correct techniques to use for each part of the body and at the end of four days you will be able to perform a full-body massage. This is not a professional qualification but it is offers the foundation skills necessary for entry onto the Aromatherapy course and on its own it enables you to treat friends and family on a recreational level. For those using this course as a stepping stone to another therapy – the entry requirement for this Massage Foundation course is the successful completion of the Anatomy & Physiology Course or previous relevant qualification in Anatomy & Physiology, Physiotherapy, Sports Science or Fitness and Personal Training. It does not give you a massage qualification but provides you with basic massage skills to progress to other diploma courses such as Aromatherapy, subject to necessary prior knowledge in your specialist field. The course will be largely practical in content and you will be required to wear appropriate clinic workwear for the duration of the course. During the practical sessiona you will practise on each other under the supervision of the tutor who will offer guidance and feedback. The lymphatic system plays a crucial role in the body`s ability to heal from injury and ward off disease. It is essential to the body`s drainage system for cleansing and filtering out toxins and bacteria. As massage therapists we are working constantly on the lymphatic system but how many therapists truly understand the effects of our actions? By adapting our techniques and understanding the lymphatic system and lymphatic massage we are able to transform our treatments. Lymphatic massage is a light delicate form of massage that stimulates the body’s lymphatic system, thus improving the metabolism, assisting the body to eliminate waste and toxins and providing a boost to the immune system. A useful and highly effective additional skill for any professional massage therapist who is serious about his/her work. Never underestimate the benefits of lymphatic massage. This workshop is designed for practitioners, qualified in any form of Body Massage Therapy. Repetitive Strain Injury (RSI) is the name for a collection of symptoms which are due to overuse and repetitive strain on muscles and fascia and the connective tissues around muscles and joints. Common conditions which fall into the category of RSI include carpal tunnel syndrome, golfers’ elbow and tennis elbow. RSI conditions are typified by symptoms including chronic pain, especially at night, sharp and shooting nerve pains, inflammation, burning pain, tingling, numbness, pins and needles and a general loss of function, eg: inability to pick up a cup or pen. Repetitive strain injury can be quite painful and cause crippling disability. Prevention and early treatment are the best ways to relieve the pain caused by RSI. Massage can reduce the discomfort and inflammation caused by repetitive strain injury, and can help prevent future injuries. Massage will allow for greater flexibility of the joints and muscles and can provide much needed relief from RSI. Repetitive strain injuries are a common affliction among millions of people. The use of massage therapy for treatment of RSI is quite effective. The demand for massage therapy to reduce the risk of RSI continues to grow. To treat RSI you need to understand the synergism between muscle groups and how overusing one muscle, or group of muscles, for prolonged periods of time puts tremendous stress on all the muscles of a particular joint. You will learn to use various techniques to release muscle tension and remove trigger points. When applied professionally, massage can interrupt perpetuating factors such as poor posture by relaxing and lengthening the muscles that support the spine and the head. This reduces inflammation while assisting the body in repairing damaged tissues and in the return of muscle strength. It can also be useful to end the session by using ice and/or heat to decrease pain, increase blood flow, and calm irritated nerves. Stretching and resistance exercisers can also help strengthen and relax sore muscles while reducing the chances of reactivating the pain pattern. When is Carpal Tunnel Syndrome not Carpal Tunnel Syndrome?….when it’s Wrist Tendonitis. Learn to avoid the common mistake! This medical massage masterclass will help you have a better understanding of different forms of RSI, the common symptoms, causes and how to treat them. It will enable you to offer effective treatments with confidence resulting in great results for your clients. One thing is certain about life and that is that as we grow physically older we develop certain conditions that may affect our mind and body. These ailments, in turn, can also affect the ways in which we view our futures and sense of well-being. Massage therapy is particularly valuable for the problems associated with growing older. The benefits of massage encompass conditions that may arise with age, such as muscular stiffness, arthritis, tendonitis, bursitis, and respiratory problems such as asthma and emphysema. Massage encourages circulation, decreases muscular stiffness, and helps to decrease inflammation that may rest in the joints. Careful massage can help provide the elderly with symptomatic relief and enable seniors to extend the vitality in their lives. Working with the elderly can be a wonderful experience for both client and therapist alike. 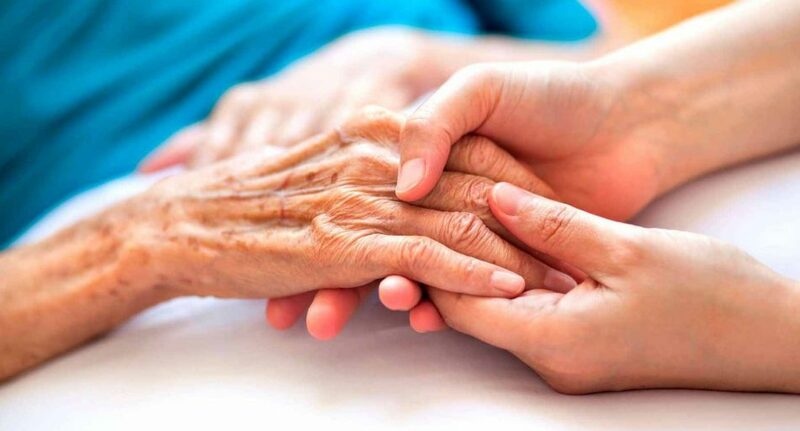 For many elderly people it may be the only human touch they experience. This traditional & effective massage is excellent for relieving stress and also promotes relaxation. With many benefits it is also great for general well being. A gentle & highly effective treatment, this relaxing massage has been practised in Thailand for over 3000 years! It is an integral part of traditional Thai massage and incorporates some elements of Shiatsu as well as Reflexology and traditional Chinese massage. It is said to stimulate the activity of internal organs and thus is hugely beneficial for optimum internal health. It is still taught by Buddhist monks in the temples of Thailand. This one-day course is designed to equip you with new, exciting skills and enable you to offer the Thai Foot Massage treatment as a stand alone therapy or in conjunction with any other massage treatments such as reflexology, massage, hot stone massage or aromatherapy. This workshop is designed for practitioners, qualified in any form of Body Massage Therapy or Reflexology. Most massage therapists are totally unaware of the incredible benefits of effective stretching. Armed with the knowledge of a variety of stretching techniques and an understanding of the difference between effective and ineffective stretching, you will be able to incorporate stretching methods into your treatment as well as devise safe and appropriate stretching programmes for your clients to do between massage treatments. Muscle Energy Technique is a gentle, non-invasive form of Neuromuscular Therapy designed to restore optimal function to joints whose normal range of motion has been compromised by shortening and/or spasm of the musculature surrounding those joints. Assessment consists of the winning combination of precise application of active isometric and isotonic contractions and muscle balancing. Muscle Energy Techniques (MET) are effective manipulative treatments in which a patient, on request, actively uses his or her muscles from a controlled position in a specific direction against a distinct counterforce. Muscle Energy Technique is also used as a diagnostic tool to identify restrictions in the articular range of motion and correct these restrictions. When a joint has restricted movement or joint stiffness, no amount of massage will correct this problem until these restrictions are first addressed and removed. Muscle Energy Technique helps to restore the full range of movement to frozen joints and aids in the strengthening of the associated muscles. Muscle Energy Technique can be used to treat most joints in the body, including the inter-vertebral joints, in a safe and effective manner. Many athletes use MET as a preventative measure to guard against future muscle and joint injury. However, its mainly used by individuals who have a limited range of motion due to back, neck and shoulder pain, scoliosis, sciatica, unsymmetrical legs, hips or arms (for example when one is longer or higher then the other), or to treat chronic muscle pain, stiffness or injury. Why learn Muscle Energy Technique? These techniques will extend your ‘repertoire’ and make your treatments more effective! They are adaptable and can be incorporated into any basic massage routine PLUS they can be used through clothing and are therefore ideally suited to complement on-site work, such as Indian Head Massage. Your goals may be to relieve pain or simply help your client relax. You may want to improve your client`s sports performance. Whatever your focus or current preferred treatment, Muscle Energy Technique can greatly improve your effectiveness. The concept of having the “right tool for the job” applies here. If your practice already includes working with structural problems, Muscle Energy Technique will be an indispensable addition to your current skills. If you want to add concrete structural work to your practice, this is a great place to start! Furthermore, often the bodies of experienced therapists start to “feel it?” Muscle Energy Technique can greatly reduce the physical effort you require to bring about changes in your client. This is because clients use their own muscle power to make changes – not just yours! Doubtless you would like to keep clients in your practice for as much of the hands-on work as may be required. With Muscle Energy Technique you have an additional skill to effect changes in joint mobility. You may not have to refer out as often to other practitioners such as osteopaths or chiropractors. Join us for this really rewarding and hands on workshop. You will find out how easy it is to use these techniques, integrating them into your practice immediately, with observable results. You will also find your treatments to be more effective and longer lasting with the combination of MET and massage. Why settle for being an ‘average’ massage therapist? With skills such as these, the clients will be better served and your reputation as an advanced practitioner will go before you! Neck pain is one of the most common reasons patients seek medical treatment. In fact, the lifetime prevalence of a significant neck pain episode ranges from 40 to 70 percent. But neck pain doesn’t have to become a constant problem: regular massage treatments can help your clients manage pain, especially if they have been suffering from neck pain long after a neck injury has occurred. Neck pain often occurs with back pain, and the symptoms are similar. Symptoms may include spasm, stiffness, muscle discomfort, limitation of movement and headaches. The pain can occur suddenly (acute) or be constant (chronic); an acute injury can lead to chronic pain and loss of range of motion, if left untreated. Massage is a non-invasive alternative to prescription medication commonly used for treating neck and back pain. Although massage affects the whole body, it is especially therapeutic for the musculoskeletal, circulatory, lymphatic and nervous systems. A combination of techniques, performed by an experienced massage therapist, will provide pain relief and help recovery. Deep tissue massage when carried out with Swedish massage releases tension from the deeper muscles and connective tissues in the neck and back. With deep tissue massage, the applied pressure is harder, more intense, and focused on releasing adhesions (“knots”) or scar tissue that may be causing neck and back pain. This one-day workshop is designed for qualified massage therapists who wish to gain greater skills and knowledge about deep tissue massage techniques. It will give you more tools and techniques for identifying and treating back and neck conditions and expanding your massage repertoire, possibly giving you the confidence to expand your client base. This technique is an ancient Chinese application, Gua – scraping sha – red. Using a ‘tool’ the practitioner scrapes over the skin causing redness to appear in the area. By stimulating the vascular system, it is believed that any stagnation or build up can be removed which can result in relieving any ailment being treated and promoting recovery by stimulating the healing process. It can also be applied to enhance one’s immunity and to maintain good all-round health. During the workshop we will be introducing different tools including jade, buffalo horn and rose quartz to metal lid tops and spoons, these different items make it very easy to apply and we will look at the techniques needed for their application. It is a very good technique to give to your client for after care/home care. We will also be looking at correct application for some common conditions e.g. Please Note: These are strong, powerful tools, which can deliver harm and bruising pressure to clients if they are used without care. Therefore, using them skillfully and learning how to adapt each technique to a range of builds, tolerances and reactions is a core part of our training. It involves massage technique that works on the deeper layers of muscle tissue. It aims to release the chronic patterns of tension in the body through slow strokes and deep finger pressure on the contracted areas, either following or going across the fibres of the muscles, tendons and fascia. It helps to loosen muscle tissues, release toxins from muscles and get blood and oxygen circulating properly. It is both corrective and therapeutic. Deep Tissue Massage teaches the muscular and connective structures to let go, move on, and recalculate its position within the body. Deep Tissue work can relieve pain, promote healing, and realign the body. Because it works very deeply, emotional issues can also be addressed, when these have been stored in the body. One of the defining differences between deep tissue and regular massage is the use of other parts of the body. A standard massage usually only involves the hands and lower arms of the therapist. During a deep tissue massage, however, the therapist will use forearms, elbows, hand joints and fingers for deep, penetrating work in the muscle, using intense movements to weaken the adhesions in inner tissues. It is estimated that one in four people suffers from some form of musculoskeletal dysfunction. The areas most commonly affected are the upper and lower back, neck, and upper and lower extremities. Contributing factors include work injury, personal injury, accidents, sports and aging. Deep tissue massage techniques can greatly benefit sufferers of chronic pain and injury. However, there is a general misunderstanding of the concept of deep tissue massage. Deep tissue does not mean working harder or stronger, the therapist simply works deeper and slower by sinking through superficial layers into the deeper structures using compression and lengthening techniques. Deep tissue massage can harm both the client and the therapist if not performed appropriately. Join us for this practical one-day workshop, and we will introduce you to the safe and appropriate use of a number of deep tissue techniques. A simple, down-to-earth introduction to a world beyond basic massage! o Deep tissue techniques – the truth! o How deep is deep? This will be a fun packed day with lots of sharing and learning taking place. The day will be very interactive. As a result of this workshop you will leave feeling confident in the application of all the moves and techniques shown and raring to get going with your clients. It will also give you the opportunity to discover if Deep Tissue work is for you, prior to studying it in more depth. 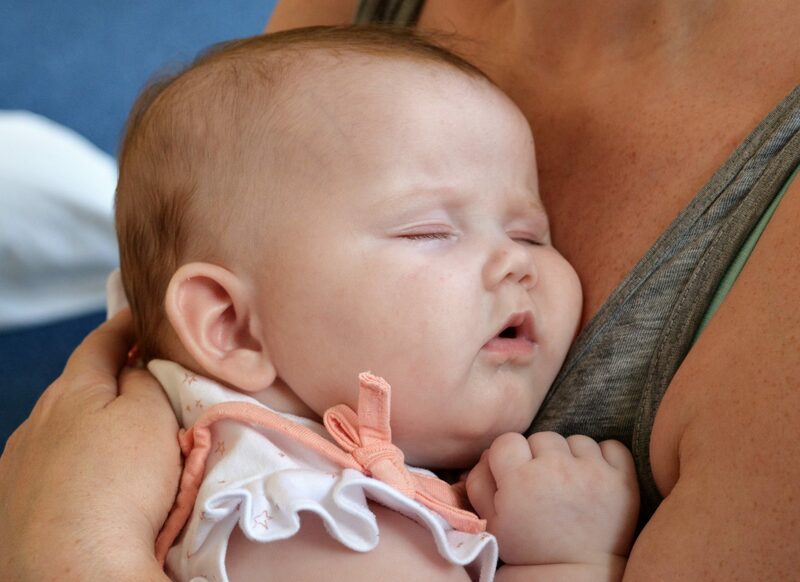 Baby massage is a loving, nurturing touch. Some of the most intimate and deeply communicative moments between a parent and their baby are often spent in utter silence as they stroke a back, smooth a belly or run a finger under the arch of a tender baby foot. There is no substitute for a parent’s loving touch. Through touch, babies first learn the comfort and security of loving and of being loved. Baby massage has a wide range of both psychological and physiological benefits. Numerous studies have found that baby massage not only helps develop the natural parent-child bond but it also plays a significant role in promoting the healthy growth and development of infants. It is also a useful tool for everyday situations – it can relieve a host of childhood complaints from colic to constipation – and essential for enhancement of the infant’s wellbeing. An ancient tradition and still a ‘must’ in many cultures baby massage had not been practiced widely in the West until the 1980’s. Even today European parents often lack confidence to carry out even the simplest of massages. As a Certified Baby Massage Instructor you will be able to introduce parents and carers to the joy of baby massage and lead them step by step through the suitable ‘routine’. You will be equipped with the skills and knowledge to run both groups and one-to-one sessions enabling parents or carers to massage their baby confidently and safely. By introducing this practice into your portfolio you will rapidly open up new areas of business, this will result in a new group of clients, many of whom will come to you for other treatments. Your business will soon grow. This course involves both practical and theoretical work in the following areas. Payable prior to course commencement. Indian Head Massage is as pleasurable to give as it is to receive. This ancient art is calming, revitalizing, uplifting and incredibly rewarding. With a few basic strokes, you can relax and soothe or invigorate and stimulate. Much of the joy lies in its simplicity, effectiveness and accessibility – no equipment is needed and it takes less than half-hour to complete. The beauty of this treatment is that it can be performed anywhere, anytime so is ideal for the stressed-out corporate employee. This highly effective therapy offer the maximum benefit with the minimum, of preparation, as the use of oil is not essential and the client remains clothed. The course is divided between theoretical learning and practical application. The workshop will be largely practical in content and you will be required to wear appropriate clinic workwear for the duration of the course. During the practical sessions you will practise on each other under the supervision of the tutor who will offer guidance and feedback. On-site chair massage is a fast, effective and versatile form of stress release which can ease a number of back, neck and shoulder problems and increase the mobility of the tired aching upper limbs. No wonder is has been so popular in the Western world! The practice as we know it today is based on a form of massage known as ‘Amma` massage meaning “press and rub”, which was introduced to Japan 1500 years ago! 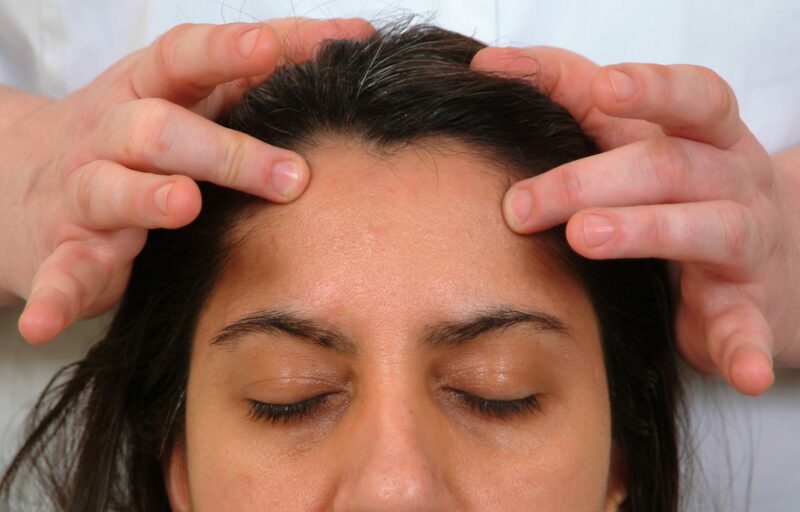 The intention of this acupressure massage is to promote a sense of well-being. The massage sequence that includes the neck, shoulders, back, arms, hands and scalp is designed to specifically enhance circulation, making clients feel vibrant and refreshed. On-site seated massage is probably the fastest growing segment of bodywork in Britain and Europe. Developed in the USA in the 1980’s, by the 1990’s it had gained popularity and some therapists have been building their practices around chair massage ever since. Unlike more traditional massage techniques, this treatment is performed on a special chair in a forward reclining position. The massage can be anything from 5 minutes onwards and, as it is performed with the client remaining fully clothed and no oil is used, it can be performed almost anywhere, making it a quick and effective treatment in the workplace. As pressures faced in the working environment increase, this can leave employees feeling tired and stressed. A neck, back and shoulder massage releases muscle tension. For the employer, a happy workforce is a productive workforce – on-site massage encourages staff efficiency, productivity and morale, reduces absenteeism and helps retain staff. Several well known companies, and many smaller ones, are beginning to appreciate the benefits that it can bring. Successful completion of the workshop will provide you with a new set of techniques that can either remain as a stand-alone therapy or be incorporated into other therapies that you may practice. On-Site Chair Massage is a useful adjunct for any Massage Therapists. The financial possibilities through corporate work are significant. 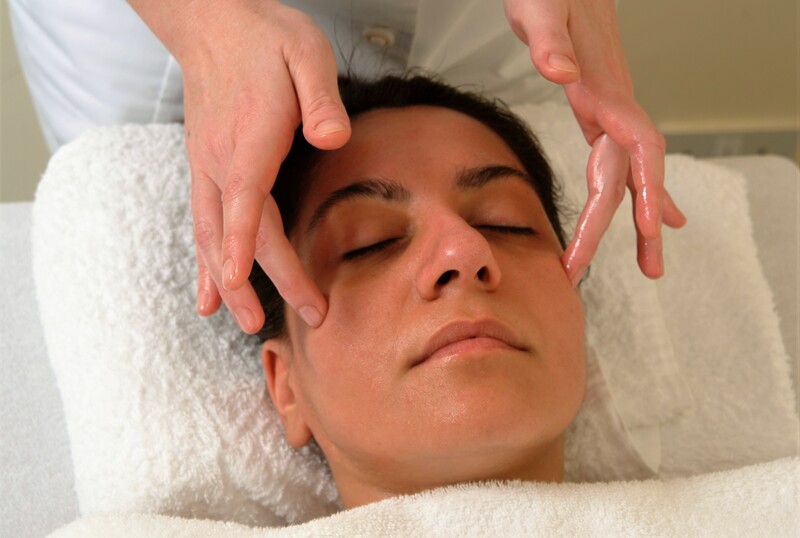 Natural Face Lift Massage (often called ‘rejuvenating facial massage’) is rapidly growing in popularity so make sure you add it to your portfolio! Although ageing is a natural process, this amazing treatment incorporates a unique blend of highly effective massage techniques designed to delay the visible signs of ageing and prevent further damage in the future by means of simple, natural and effective massage techniques and energy balancing. Be one of the few therapists to offer this hugely beneficial treatment, which will keep your clients coming back for more. Once you have experienced and mastered the wonder of this incredible treatment you will be able to offer this as a stand alone therapy or added onto other therapies such as Facials, Body Massage, Ear Candling, etc. Open to qualified Massage Therapists, Aromatherapists, Indian Head Massage Therapists and Beauty Therapists. A person who is considered `mentally healthy` is someone who can cope with the normal stresses of life and carry out the usual activities they need to in order to look after themselves, can realise their potential, and make a contribution to their community. However, mental health or sense of `wellbeing` doesn`t always stay the same and can change in response to circumstances and stages of life. Everyone will go through periods when they feel emotions such as stress and grief, but symptoms of mental illnesses last longer than normal and are often not a reaction to daily events. When these symptoms become severe enough to interfere with a person`s ability to function, they may be considered to have a significant psychological or mental illness. Everyone will go through periods when they feel emotions such as stress and grief, but symptoms of mental illnesses last longer than normal and are often not a reaction to daily events. When these symptoms become severe enough to interfere with a person`s ability to function, they may be considered to have a significant psychological or mental illness. Mental health disorders are a growing public health concern. They are prevalent not just in the UK, but around the world. Experts say we all have the potential for suffering from mental health problems, no matter how old we are, whether we are male or female, rich or poor, or ethnic group we belong to. Around 25% of people in the UK will experience some form of mental health disorder in any given year with depression affecting a massive 20% of our population. UK statistics show than more than 4,000 people a year commit suicide. The World Health Organization (WHO) predicts that within 20 years more people will be affected by depression than any other health problem, and depression will be the single biggest health burden on society both economically and sociologically. Massage therapy can help manage the overwhelming symptoms of anxiety and depression. Without doubt, as a massage therapist you will come across many clients presenting with mental health issues, but you need to be equipped to deal with it. If you are, the help and support you will be able to offer these clients will be invaluable. You can truly make a difference. Join us on this useful mental health workshop where we will explore the nature of depression and anxiety and the way they complicate your massage clients’ lives and health, as well as how massage therapy can help manage the symptoms. The spectrum of anxiety and depression ranging from mild to very severe. Living with anxiety and depression is a painful and distressing experience where sufferers can withdraw from day to day social contact. Proper treatment is important and massage therapy can be of great benefit. Gentle massage offers help with no detrimental side effects. Mild benefit is often felt immediately and even greater benefit can come from a series of sessions.to help them return to a successful and productive life. Depression and anxiety can be very serious and massage therapy should not be a replacement for proper medical attention when it is needed. Clients and therapists alike should recognise its limitations. This course discriminates between what massage therapists may and may not be able to do for clients with mental health disorders. Most massage therapists have many clients who suffer with low back pain that continues down the leg but very few know how to treat it. Sciatica refers to pain that begins in the hip and buttocks and continues all the way down the leg. This condition is often accompanied by low back pain, which can be more or less severe than the leg pain. In addition to pain, other sensations include spasms, tingling or numbness along the sciatic nerve that can travel down the hamstrings, legs and feet. These symptoms can be bilateral or can occur on one side. Additionally, people with Piriformis Syndrome often have trouble sitting for long periods and the pain may worsen when walking or squatting. This can be a very painful condition and for some people is very disabling. Fortunately, for the majority, massage treatment is very effective. There may be many reasons for sciatic pain – it could be caused by some irritation in the five nerve points leading to the sciatic nerve, irritation or compression in the sciatic nerve itself or because of some tightening in the vicinity of the Piriformis muscle. Irrespective of the cause, it has been found that massage therapy helps all these conditions. Massage therapy helps in relaxing muscles and improving posture. This also relieves the pressure on the various nerve points as well as the sciatic nerve. Depending on how acute the pain is as also what stage of treatment one is, there are different massage techniques that one can try. The sciatic nerve passes through a mass of the hip’s external rotator muscles. The sciatic nerve exits the greater sciatic foramen and can run superficial to, deep to or even through the piriformis muscle. Spasm in the piriformis muscle can cause compression on the sciatic nerve sending pain, tingling and numbness down the posterior leg. This description falls into the category of false sciatica and is referred to as piriformis muscle syndrome. Treating sciatic pains is a true sport for massage therapists. Knowing the few most common causes, it is usually quite simple to treat. Simplicity and knowledge often go hand in hand. Even though it can be straightforward to treat sciatic pain, it requires a good knowledge about the common causes and connections involved. As a massage practitioner you will need to be thorough when performing an evaluation to identify the tissues at fault. Soft-tissue techniques will be far more effective with a comprehensive assessment. A solid understanding of piriformis syndrome starts by investigating the anatomical relationships in this area. You need to know how to accurately identify piriformis muscle syndrome, how to locate this external rotator and which massage techniques can release the piriformis. Massage therapy is a popular treatment for sciatic pain and should not be underestimated. In some hospitals there are departments, which specialize in massage therapy. NMT/Trigger Point Therapy to eliminate myofascial trigger points in the piriformis muscle Deep tissue Massage to release adhesions between the piriformis muscle and surrounding tissues MET to gently lengthen the piriformis muscle Provide therapy for other muscles near piriformis and even to muscles opposing piriformis to improve muscular balance. This medical massage masterclass will help you have a better understanding of different forms of sciatic pain, the common symptoms, causes and how to treat them. It will enable you to offer effective treatments with confidence resulting in great results for your clients. Deep abdominal massage, also known as colon massage or internal organ massage is a fantastic treatment that focuses on the metabolic and energetic functions of the abdomen to release trapped gases, blockages and waste products. It has a great number of benefits. The abdomen is the softest, least-protected area of the body, therefore, an area of great vulnerability and is a very important part of the body. For adults as well as for infants and young children, massaging the abdominal promotes digestion, alleviates gastric upsets, soothes the nerves related to the area of massage, and benefits the organs that are interconnected with the stomach as well as the intestinal tract. Abdominal massage helps to detoxify and strengthen the lower abdomen and is particularly useful for relaxing tension in the abdomen and promoting blood flow. When the digestion process is inhibited due to illness, malabsorption or inactivity due to a stagnant lifestyle the abdomen undergoes immense stress from the muscles and the well-connected fascia network that hold the organs within the abdominal cavity. Such stress in the abdominal area may lead to pain in the sides, lower back pain, inguinal and joint pain at the pelvis. Sometimes, even the ribs may get affected. Other problems related to the abdomen include: abdominal disorders like IBS (Crone’s or Ulcerative Colitis), spastic colon, chronic constipation, dislocation of female reproductive organs and problems caused by dislocation such as miscarriages, infections, premature birth, weak new-borns, backache, difficult menopause etc. Hence, the abdominal massage is highly effective remedy in removing obstructions, correcting dislocations and restoring the harmonious flow. Abdomen massage helps open the abdominal cavity and release the fascia so the organs can lay unrestricted in their natural positions in the abdominal cavity. General improvement in blood circulation from the massage benefits the blood vessels in the abdominal cavity. The veins transport the blood depleted of oxygen to the heart more quickly and the arteries respond by supplying the body cells with freshly oxygenated blood. The liver, the gall-bladder, and the pancreas receive a larger share of oxygen and nutrients and release their metabolic waste products such as carbonic acid into the bloodstream. In addition to the physical benefits there are significant emotional benefits from abdominal massage. The stomach is considered the “core” of the body. Exercise based in control of the muscles such as yoga, abdominal flattening exercise, and meditative exercises are all focused around the core. The reason for this is that so much energy within the body transfers through the core. Emotions as well as physical exertion all can be stimulated or related to the core of the human body. An appropriate abdominal massage can increase the effectiveness of all surrounding organs, ease the tension associated with those organs, and release the inner emotions carried in the core. This massage masterclass will help you feel more confident massaging the abdomen and as well as learning how to massage the intestines to aid optimal health you will acquire the skills to offer your clients a drug-free, natural way of treating digestive disorders. You will be able to offer it as a stand alone treatment or include it in your regular massage treatment. Massage in pregnancy, as at any other time, is a wonderful tool to help relax and revive the mind, body and spirit. Through the 40 weeks the baby is growing in the womb a woman’s body has a great deal to do and undergoes many changes, both hormonal and physical. These changes can cause a variety of problems, ranging from morning sickness to swollen ankles, feet and fingers. It is also a time when an expectant mother can experience strong emotional feelings. Throughout pregnancy babies are very aware of the environment outside the womb and the emotional state of the mother. As well as helping to relieve many of the common minor ailments associated with pregnancy, massage can help the mother, and therefore the baby; remain in a balanced and healthy state physically, mentally and spiritually. This course will give you the knowledge and confidence to work with this client group. You will develop a good understanding of the anatomy of pregnancy and the changes occurring. As a result of this knowledge you can then adapt your massage accordingly. Anatomy and Physiology Review: – This on line module will guide you through the changes that occur to our clients’ body during pregnancy. As soon as you have booked onto the course you will be given your log-in details for the on-line module. Once completed there is a self-assessment section for you to complete at the end of the module. It is a requirement to study and on-line anatomy and physiology section and pass the test prior to attending the practical weekend. This will equip you to fully benefit from the practical weekend. Practical Days:- The attended course will be fully dedicated to the practical aspects of pregnancy massage. The course will be largely practical in content and you will be required to wear appropriate clinic workwear for the duration of the course. During the practical session you will practise on each other under the supervision of the tutor who will offer guidance and feedback. Where possible pregnant ladies may also be present for you to practice on.